Development, from a laboratory demonstration to a commercial entity, spanned several decades, and this required the efforts of many practitioners. In 1878, David E. Hughes noticed that sparks could be heard in a telephone receiver, when experimenting with his carbon microphone. He developed this carbon-based detector further, and he eventually could detect signals over a few hundred yards. He demonstrated his discovery to the Royal Society in 1880, but he was told that it was merely induction, and therefore, he abandoned further research. 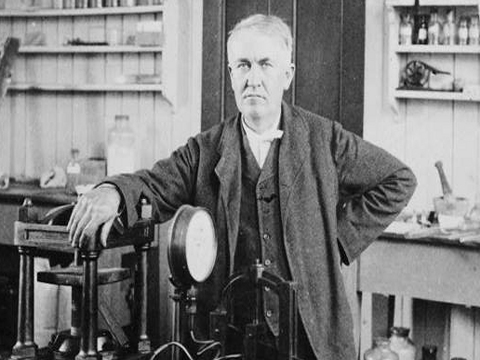 Experiments, later patented, were undertaken by Thomas Edison and his employees of Menlo Park. Edison applied in 1885 to the U.S. Patent Office, for his patent on an electrostatic coupling system between elevated terminals. The patent was granted as U.S. Patent 465,971, on December 29, 1891. The Marconi Company would later purchase rights to the Edison patent, to protect themselves legally from lawsuits. In 1893, in St. Louis, Missouri, Nikola Tesla made devices for his experiments with electricity. Addressing the Franklin Institute in Philadelphia, and the National Electric Light Association, he described and demonstrated the principles of his wireless work. These descriptions contained all of the elements that were later incorporated into radio systems, before the development of the vacuum tube. He initially experimented with magnetic receivers, unlike the coherers (detecting devices consisting of tubes filled with iron filings, which had been invented by Temistocle Calzecchi-Onesti, at Fermo, in Italy in 1884) used by Guglielmo Marconi, and other early experimenters. 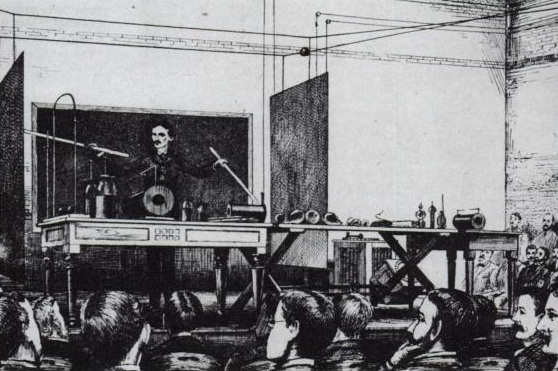 Tesla demonstrating wireless transmissions during his ‘high frequency and potential’ lecture of 1891. 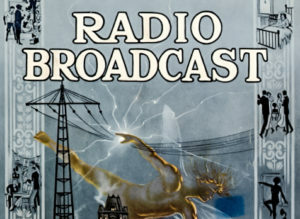 After continued research, Tesla presented the fundamentals of radio in 1893. 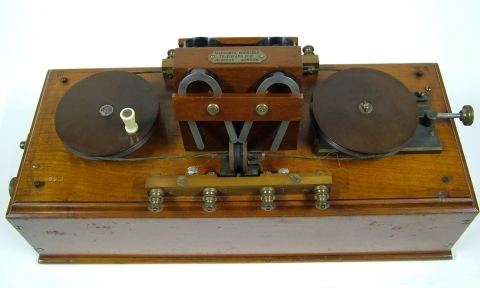 A demonstration of wireless telegraphy took place in the lecture theater of the Oxford University Museum of Natural History, on August 14, 1894, carried out by Professor Oliver Lodge, and Alexander Muirhead. During the demonstration, a radio signal was sent from the neighboring Clarendon laboratory building, and it was received by apparatus in the lecture theatre. In 1895, Alexander Stepanovich Popov built his first radio receiver, which contained a coherer. Further refined as a lightning detector, it was presented to the Russian Physical and Chemical Society on May 7, 1895. A depiction of Popov’s lightning detector was printed in the Journal of the Russian Physical and Chemical Society, that same year. Popov’s receiver was created on the improved basis of Lodge’s receiver, and it was originally intended for reproduction of his experiments. In 1895, Marconi built a wireless system capable of transmitting signals at long distances (1.5 mi./ 2.4 km). In radio transmission technology, early public experimenters had made short distance broadcasts. Marconi achieved long range signalling due to a wireless transmitting apparatus, and a radio receiver claimed to be invented by him. From Marconi’s experiments, the phenomenon, that transmission range is proportional to the square of antenna height, is known as ” Marconi’s law.” This formula represents a physical law that radio devices use. Marconi’s experimental apparatus proved to be a complete and commercially successful radio transmission system. In 1896, Marconi was awarded a British patent for “Improvements in transmitting electrical impulses and signals, and in apparatus therefore,” for his radio. In 1897, he established a radio station on the Isle of Wight, England. Marconi opened his “wireless” factory in Hall Street, Chelmsford England, in 1898, employing around 50 people. Shortly after the 1900s, Marconi held the patent rights for radio. Edison was very wrong about that! c) many developments within the field of communication. b) from a laboratory building to a nearby lecture theatre. c) across the United States.